WAYNE, N.J. (WPIX) — A police officer was shot in the head by a bullet during an armed robbery of an Exxon gas station in New Jersey. Wayne police say the robbery occurred just after midnight at the gas station located at 1440 Route 23 North near Packanack Lake Road in Wayne. Cops were notified of the robbery via 911 report and panic alarm alert. Officer Brian Wodell, a 14-year veteran of the Wayne Police Department, was the first to arrive on the scene. As he exited his patrol car, Worell encountered the suspects, who ordered him not to reach for his firearm. But the suspects fired two rounds at Wodell, on of which grazed the left side of his head. Worell was transported to St. Joseph's Hospital in Paterson, where he was treated and released. The suspects were both armed with semi-automatic handguns when they entered the gas station's Tiger Mart. They made off with cartons of Marlbolo and Newport cigarettes and an unknown amount of cash from three gas station attendants who were on duty. One of the attendants, Adam Huzien, told PIX 11 News he thought the stick-up was a joke. "Anyone could come in with a gun and act tough and say whatever they want to say," said Huzien. He and the two other employees were directed to the rear of the Tiger Mart, but one of them tried to wrestle the one of the armed suspects. The employee was hit with the handgun at least four times, and later refused medical attention. Two men, then another man and woman entered the Tiger Mart after the suspects arrived. They and the three employees were herded into a back office, and while there, heard the two gunshots directed at Worell. Worell witnessed the suspects running along Packanack Lake Road. Reports say after reviewing tape from area surveillance cameras, the suspects' last location was behind the nearby Packanack Wayne Shopping Center. They appear to have fled in a older model white Toyota Sienna minivan, northbound on Route 23 towards Sleepy Hallow. The first suspect is described as a possibly Hispanic man with thin build wearing a leather jacket and black baseball cap. The second suspect is a black man about 5'9" with medium build wearing a blue-colored hooded sweatshirt and a mask. He had either a birthmark or tatto underneath his left eye. The investigation is ongoing and police are still searching for the men. 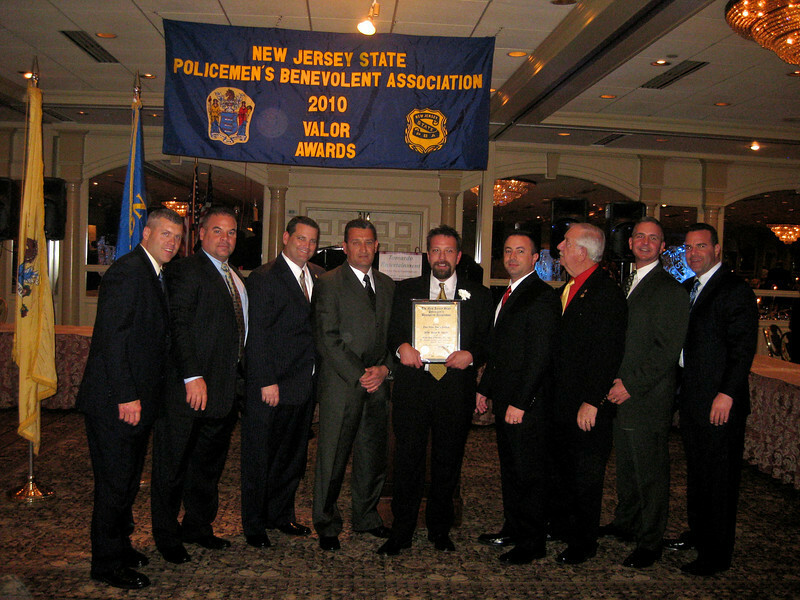 New Jersey State Policemen's Benevolent Association, Inc. has offered a $10,000 "cop shot reward" to anyone with information leading to the arrest and conviction of the gunmen.